Ten minutes 3 times a day 7 am, Noon, 7 pm. The strategy given from heaven is “When my people will come together as one and pray for 55 days, I will rebuild the walls and restore the gates of this nation!” – Ps Ann Browne. As we intercede and keep watch for FAMILY throughout Australia, we are reminded that it was Christ’s blood poured out to save us and our households. Jesus constantly intercedes on our behalf to see our families, ultimately His family fully restored over Australia. Holy Spirit also interceding through us for all Australian families. Scripture says at the Throne of Grace Jesus’s blood is speaking a better word than vengeance and that word is MERCY! Mercy over our sin and the sin of families – this cry of mercy extends to everyone who calls on the Name of Jesus. His blood flows over all and His mercy flows with healing for every heart, and soul. We also are required by the Lord to release our family members through the same mercy with forgiveness. We are to repent of any resentment, hatred, un-forgiveness or any other way we have sinned against them. Repentance is needed where we have misrepresented Jesus and the love of the Father, especially to the younger generations, where we have not spoken words of life over them and decreed blessing. There is mercy flowing as the blood of the Lamb cleanses us from all unrighteousness. As you pray this week see yourself plundering the enemies camp recovering all – restoration of families everywhere. Let the Lord prepare our hearts to love those he is bringing into His family! Praise Jesus who has gathered us and reconciled us to the Father making a way by his own body and blood. Pro-life becoming the norm as abortion bills are reversed, adoption options to be created with strong support for single parents, a stop to euthanasia. Thank you for hearing the call to pray, joining as one to receive the Lords mercy for Australia and release mercy to others. The strategy given from heaven is “When my people will come together as one and pray for 55 days, I will rebuild the walls and restore the gates of this nation!” – Ps Ann Browne. Let us continue to set our alarms to 7am – noon – 7pm praying for at least 10 minutes as heeding this call is mobilizing a great army in intercession for Australia. This week January 8th to 14th we are invited to engage with The Spirit of Truth – Jesus describes himself as the way, the truth, and the life, and as such he is the only means to the Father (John 14:16). Even when Jesus ascended to heaven, the ministry of truth would continue because he sent the Comforter, who is the Spirit of Truth (John 14:17), who is active both in the church as well as in the world. Jesus, as the Word become flesh, is full of grace and truth (John 1:14), and is the source of grace and truth (John 1:17). He sent the Spirit of Truth (Holy Spirit) to guide us into all truth, speaking to us what the Father says to us about Jesus and to disclose to us what is to come (John 16:13). The Spirit of Truth is to abide with us forever, we know Him because He dwells in us and with us (John 14:16-17). As we worship the Lord in spirit and in truth, as we study and engage with the characteristic of truth of our Lord we are sanctified in truth (John 17:17), set free (John 8:31) we will then speak the truth (Zec 8:15-16). When Jesus spoke the truth, some sought to kill him (John 8:40). This is because those who contended with Jesus were ultimately of their father the devil, who has no truth in him whatsoever (John 8:44-46). As we pray for the MEDIA this week, we recognize the massive influence all forms of media (visual, written & social) have in Australia. There is a great responsibility for those leaders of the media mountain in our nation to line up with the truth of Jesus. Let us pray for shifts in morals and values in the media to line up with the Kingdom of God. Let us take our petitions to the Throne of Grace to receive mercy and grace to help overcome anything that does not line up with righteousness and justice. Where there is moral decay and the things described in Ephesians 4:17-20 pray that the truth and life of Jesus be personified in those who create and deliver the media that is released over Australia. Ask for a repositioning to righteousness, truth and wisdom for those with leadership and influence. Intercede for social media to be cleansed, and that truth and light guide those who post things on every form of social media. Let us see mammon, greed, idolatry, selfish ambition, pride and lust be eradicated and truth, justice, love and mercy prevail. Media has tremendous power of the airwaves over this nation, with tremendous opportunity to share the gospel and teach Kingdom values. Much of it however is given over to distract, distort, blind, corrupt or discredit truth consequently may bring destruction through lies and deception. Pray for the Spirit of truth to bring conviction of sin in these areas and for those in darkness to see the light (Col 1:13). Raise up discernment in the believers to stay in the light. Let there be wave upon wave of love and mercy flowing out over the airwaves of Australia washing her clean. Let words of life and a call to salvation come through all forms of the media. Let truth be written and spoken in our nation confounding the enemy and displacing the destructive lies and deception. Let the Lords kindness lead Australia to repentance. Let the fragrance of Christ be on our media so there is life for those being saved! Shine your light Lord and dispel the darkness and corruption. May Jesus be magnified and every lie be exposed. May Jesus be glorified over the Media in this nation, thy kingdom come! Australia for Jesus. Ask for wisdom for ourselves and our nation, thank Him for wisdom already given and that we grow in wisdom, listen to wisdom and love wisdom. Pray Pauls’ prayer in Ephesians 1:15-23 for all in the church, and for Australia. Thank God and decree that the government is upon His shoulder…and of the increase of his government and of peace there shall be no end. May His kingdom be established and upheld with justice and righteousness from now and forever more. For all Christians in Australia to partner with wisdom in becoming effective righteous voices – calling for laws that release the Lords justice. Repent for expecting the government, leaders and authorities to fulfil every desire and need of the people (Idolatry) and for criticising and judging them when they fail to do so. Confess our sin as a nation for grumbling and complaining when we have lacked wisdom. Thank Him for mercy and grace to help Australia. Repent for the church stepping back – leaving very few to speak for righteousness in the public arenas, and for when we failed to support those who do speak out. Ask the Lord to raise up elected officials in government to legislate on behalf of his goodness to all. Those like William Wilberforce to be The Lords voice in our generation. To raise governmental, marketplace and church leaders to stem the tide of godlessness and lawlessness and shift Australia back to holiness and biblical alignment. Leaders willing to walk in and establish righteousness, equity, truth and justice. Ask the Lord to raise up legal reformers to redeem the judicial system. Give thanks and pray for our Prime Minister Scott Morrison and all those in leadership of our nation in government, marketplace and the church. May leaders of government have favour with God and man, close trusted relationships, courage and God chosen mentors to offer wise counsel. Give them wisdom and inspiration to tackle projects that are of utmost importance for our nation. Give them strength for the fight against injustice. Give us governmental systems based on biblical principles, with checks and balances without corruption or self-serving. Pray for righteous leaders of governments of every level to rise up, to work together, pray and seek the Lord for the transformation of our nation. Raise up leaders in the marketplace, government and the church to work together, remove the independence, competition and backbiting. Let trust, honouring and respect be built in our parliament and leadership of Australia. The Lord is rebuilding the walls as we pray – let us rally to one another to help as the trumpet sounds. 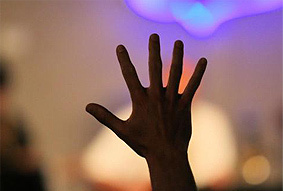 (Neh 4:19-20) God is mobilizing a great army in intercession for Australia. Faith comes from the heart (Rom 10:9-10). Faith is now and it is the substance of things hoped for (Heb 11:1), when we believe – all things are possible. Mercy flows when we are in fiery trials or suffering and cry out to our Father like the father of the afflicted boy – “Immediately the father of the boy cried out [with a desperate, piercing cry], saying, “I do believe; help [me overcome] my unbelief.” (Mark 9:23-24 AMPC). To believe is the work God requires of us, “9 Jesus answered and said to them, “This is the work of God, that you believe in Him whom He sent.” John 6:28-29 (NKJV). Faith pleases Him (Heb 11:6). Jesus knew we need faith to see His kingdom come on earth as it is in heaven, we can fast and pray to remove our unbelief and doubt to gain victory over our enemies. We lift our faith as a shield and resist the devil (Eph 6:16). We can have greater faith (Matt 8:5-11) or even little faith (Matthew 17:20-21). Believing results in mountains moving and prayers answered (Mark 11:23-24). As we intercede for the sphere of RELIGION/CHURCH in our society this week let’s make praise a priority! May we lean in to hear His heart and the whisper of His voice and be obedient to say what Jesus is saying and pray what Jesus is praying. His church is built on the rock of the supernatural revelation of Jesus as the Anointed One the Son of God (Matthew 16:18). We ask the Lord that we his church know His ways & lean not on our own understanding (Proverbs 3:3-6). God has blueprints in His word on how he builds His church (Eph 4:7-16). We are being commissioned to sow with our words – to be intentional to bless. The Lord showed me through a dream how crucial it is for us to watch and pray but most of all speak words of life and destiny over the next generation right now and over the next two years for what he plans to birth and establish in 2020. Many other religions are being given place in our nation but we decree Jesus is King and Lord over Australia. Every person in the church to grow up in all things into Christ, and supply His body with the particular gifts they have been given. We have now reached the halfway point of our 55 Days of Mercy Prayer Call – the Lord is giving us fresh oil to keep our lamps burning for intercession, he is raising up intercessors over Australia for such a time as this! We have been born in an incredible time – we have freely received the gospel. From Genesis 1 to Revelation 22 we see the Lord is giving light to the world. We have the privilege to shine because our light has come! We carry His light to those around us, and together with Israel, Australia is called to be a light to the nations! It’s time for the church to arise and with wisdom and truth shine in this world! “Arise [from the depression and prostration in which circumstances have kept you—rise to a new life]! Shine (be radiant with the glory of the Lord), for your light has come, and the glory of the Lord has risen upon you! 2 For behold, darkness shall cover the earth, and dense darkness [all] peoples, but the Lord shall arise upon you [O Jerusalem], and His glory shall be seen on you. 3 And nations shall come to your light, and kings to the brightness of your rising. Isaiah 60:1-3 (AMPC). For you were once darkness, but now you are light in the Lord. Live as children of light 9 (for the fruit of the light consists in all goodness, righteousness and truth) 10 and find out what pleases the Lord. Ephesians 5:8-10 (NIV). “Thy word is a lamp to my feet and a light to my path” (Ps 119:105). This week as we Pray for the CELEBRATION (Arts, Entertainment & Sport) sphere of influence we acknowledge and celebrate God our creator. He is the awesome Lord who designed our universe and beyond and skilfully set everything in motion. Sing a new song to Him! Proverbs 8:30 TPT Wisdom says “I was there, close to the Creator’s side as his master artist [architect]. Daily he was filled with delight in me as I playfully rejoiced before him.” (The Hebrew word translated here as “rejoicing” can also be translated as “joyfully playing” or “laughing.”) Christians are meant to be the most joy filled people on earth, creativity and excellence are part of our God given blessings. May this generation inaugurate a reformation of Celebration in the earth. We have an assurance of salvation and a relationship with the Lord that gives us such inexpressible joy. Creativity must not be shut down or hijacked by the enemy. The Arts bring either light or thick darkness in their expression and are intricately linked to our soul realm. Therefore, we need His pure source of the arts so that people are drawn to glorify and to encounter the Lord in all genres of the arts. Entertainment in the western world takes up a massive amount of people’s time and focus. It has become a lucrative business – this generation spend a lot of their lives gaming and watching all forms of entertainment. How marvelous if the majority of entertainment was full of light and creative pathways were established in the next generations minds bringing Kingdom of Heaven solutions to earth. We need the next generation activated and free from being addicted to it and from its mind blinding spirits. Sport glorifies God with one’s body by achieving levels of fitness and skill that are inspirational. However, there is potential for idolatry and self-glorification. Sporting heroes can be excellent role models like Eric Liddell who said “I believe God made me for a purpose, but he also made me fast! And when I run, I feel His pleasure.” Many sports persons give glory to God in their speeches and use their finances to help others. Recreational sport can be a great asset to communities and family life. May the Lord be the source and inspiration for the Celebration mountain. Let this mountain forsake idolatry, and rise into its God given purpose as inspirational, fun ways of creativity. May Holy Spirit anoint leaders to rise to the top of these spheres and lead well and those who are excellent in their fields come to know and glorify Jesus. Praise the Lord for His creativity in everyone on earth – let it be expressed in all to shine! Raise up many more Christians on the celebration mountain to release His glorious light. Let us celebrate and shine this week as we intercede for our nation! Jesus’s death for us on the cross has become the greatest victory forever! “ but thanks be to God, who gives us the victory [as conquerors] through our Lord Jesus Christ.” 1 Cor 15:54-57. We have the privilege of being part of a victorious army “For everyone born of God is victorious and overcomes the world; and this is the victory that has conquered and overcome the world—our [continuing, persistent] faith [in Jesus the Son of God].” 1 John 5:4. We are engaged in war according to Rev 12:17. As His Ecclesia (ruling governing body) we triumph in Jesus! “But thanks be to God, who always leads us in triumph in Christ, and through us spreads and makes evident everywhere the sweet fragrance of the knowledge of Him.” 2 Cor 2:14. And the knowledge of His glory covers the earth Habakkuk 2:14. He is the desire of all nations and salvation comes only through Him. The shed blood gives us power to overcome, and our testimony always decreeing His word. Bow low and worship Him who sits on the Throne and unto the Lamb in spirit and truth. May we fling away works of darkness and consistently wear the armor of light. Call anointed ones to their apostolic seats over people groups, political arenas, in our nation. Ask the baton be passed on to raise up the next generation of leaders and saints to victory. We cry mercy! For your covenant promise of mercy to triumph over every evil in the earth. Bring every injustice into Heavens courts seeking mercy to bring a shift in the spirit realm. The Economics mountain is highly contested as many do not have any understanding of Gods heavenly ways but that is all about to change as he releases to His lovers and friends supernatural understanding on how to do business with integrity and for the benefit of all people on earth – this is taking hold of the revelation that we are to be stewarding King Jesus’ creation. “Beloved, I pray that you may prosper in all things and be in health, just as your soul prospers. 3 For I rejoiced greatly when brethren came and testified of the truth that is in you, just as you walk in the truth.” 3 John 2-3. God is giving greater revelation in the business, science, technology and health arenas that will shape society for decades to come. There is a spirit of innovation being released for the church, marketplace and governments and God is releasing solutions to global uncertainties. Huge breakthroughs on the medical arena in preventative medicine and cures as research is clearly showing the enormous influence of psychosomatic factors – God restores the whole man, body soul and spirit. God is releasing breakthroughs in new technologies, levels of communication, in our banking systems, our business systems and our social need systems and our way of doing church. We have the privilege of working with the Lord in the redemption of His creation and everything pertaining to that. We can ask the Lord to renew our minds by His Word and Spirit and to pray that revelation be granted to His body that these things be released. Romans 12:1-2 I beseech you therefore, brethren, by the mercies of God, that you present your bodies a living sacrifice, holy, acceptable to God, which is your reasonable service. 2 And do not be conformed to this world, but be transformed by the renewing of your mind, that you may prove what is that good and acceptable and perfect will of God. Lord tear down and break off the “ways of the world” regarding economics that are hindering true stewardship of your creation for the benefit of all. Holy Spirit we ask that creative innovations be released to the church, marketplace and governments that free our nation from the routine of the old way of doing economics. Thank you, Father that you are releasing solutions to global uncertainties this year – supernatural answers that the world needs. that embrace your heart for the people of Australia. Give courage and tenacity to those who will birth new discoveries that no one expects. May the Lords blessings come upon His people and overtake us (Deuteronomy 28:1-14). Raise up the Daniels (Daniel 5:14-16) and the Josephs of our generation. Oneness is one of the most passionate requests Jesus made to the Father concerning all believers. He asked “that they all may be one; just as You, Father, are in Me and I in You, that they also may be one in Us, so that the world may believe [without any doubt] that You sent Me. 22 I have given to them the glory and honor which You have given Me, that they may be one, just as We are one; 23 I in them and You in Me, that they may be perfected and completed into one, so that the world may know [without any doubt] that You sent Me, and [that You] have loved them, just as You have loved Me.” John 17:21-23. What a powerful gift of mercy to be one with the Lord and each other! There is a grace (Holy Spirit anointing) oil for oneness being poured out on us, His royal priesthood, like in Psalm 133. As we now dwell together in unity, He commands the blessing of prosperity and life forevermore. Oneness is the very character and nature of God, the Father Son and Spirit are ONE, it is His heart and sheer delight to draw us into sweet fellowship of being ‘one family’ in Christ. This brings us into powerful partnership with Him and with each other. In John 17:26b Jesus said ‘for your love will now live in them, even as I live in them!’ That is the indwelling anointing of the fullness of God’s love by Holy Spirit resulting in powerful full agreement (1 Cor 1:10). Historically families have trusted that what was being taught in education was based on the moral and ethical values of our Christian Judeo foundations. There has now arisen a radical minority that are pushing an ungodly agenda, strongly backed by all forms of media, who are aiding the enemy in the undermining of family, faith and freedom. The Ecclesia has the power and responsibility to correct such wrongs – we have access to revelation knowledge from the Lord. Proverbs 14:18 says “The naïve demonstrate a lack of wisdom, but the lovers of wisdom are crowned with revelation-knowledge.” Let us receive mercy for revival of His presence in the sphere of Education. We need wise leaders with policies and curriculum that create healthy patterns of thought – that are infused with love, joy, peace, patience, kindness, faithfulness, gentleness and self-control that are led by the indwelling Holy Spirit. We thank God for those on the front line to raise awareness to overcome. We need all Christians to back those like ACL Martin Iles and Wendy Francis, Director of the Centre for Human Dignity, who stated “We are committed to establish a new norm. One where our children’s innocence will once again be protected and one where human dignity and respect is extended to all. I truly believe that unity brings power to achieve real change for human dignity and justice.” We thank God for strong Christian voices to arise in this hour to speak the truth in love with such wisdom and grace that people hear it and see clearly the future for our next generation to walk in. Since the moment we received Jesus as our Lord and Savior, we are now seated in Christ at the Fathers right hand. We now pray from our heavenly location. We are now positioned far above the things that want to bring destruction, we have a powerful position in the spirit from which to intercede. “For if by the one man’s offense death reigned through the one, much more those who receive abundance of grace and of the gift of righteousness will reign in life through the One, Jesus Christ.” (Romans 5:17). “And He raised us up together with Him [when we believed], and seated us with Him in the heavenly places, [because we are] in Christ Jesus,” (Ephesians 4:6). “When you sit enthroned under the shadow of Shaddai, you are hidden in the strength of God Most High.” (Psalm 91:1 TPT) The Hebrew word for enthroned here is ‘yashab’ – it is often associated with one seated as royalty, rulers or leaders. From this position of great privilege, we are able to administer according to heavens counsel. • Praise Him for His great mercy and great love to redeem us and seat us enthroned in Him! • Pray Psalm 91 over yourself and others often, humbly stay hidden in His shadow safe & secure. • Listen to wisdom – the counsel of Heaven for every situation and decree what He says on earth. • Bless the Church of Australia, may we awaken to the supremacy of Christ and our place in Him. • Bless those who are positioned at the gates to administer wisdom & justice over Australia • Thank God for His powerful mercy seat and the blood of the Lamb speaking for us (Heb 12) Let us continually praise and thank the Lord for all He has done in these 55 Days of Mercy – His call for us to pray and He would rebuild the walls and restore the gates of our nation Hallelulia! Thank you for your participation in 55 Days of Mercy and responding to the call to pray for Australia! May the Lord refresh and restore you body soul and spirit – Shalom to you and your household. We would love to hear from you about the last 55 Days and any shifts you have seen in our nation.